It has been a busy few weeks in and around Jimaní. First of all an update on Jak Jak he was able to go home!!!! 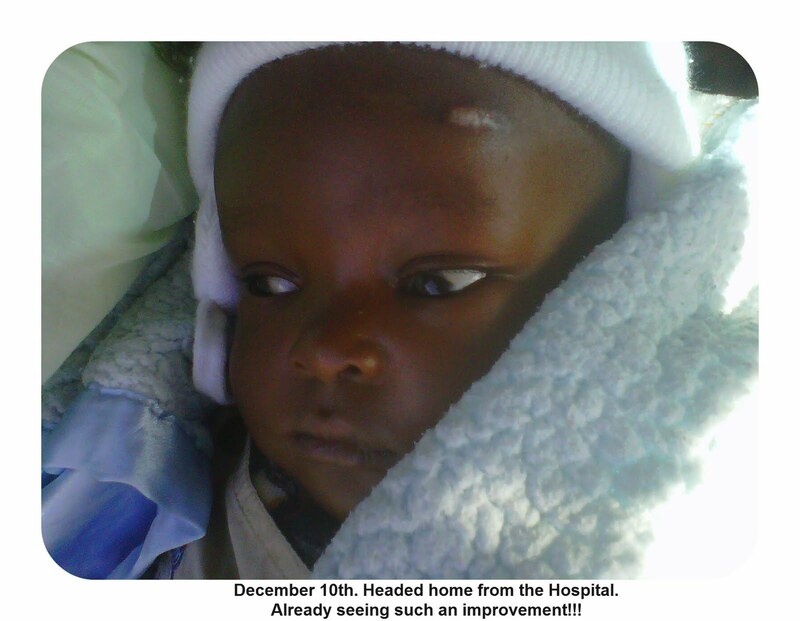 After being discharged from the hospital on December 10th he and his mom came to stay with us at the Jimaní Children’s Home for postoperative care. He had a follow up appointment in Santo Domingo this past Thursday. Dr. Sanchez was pleased with his progress. He came back to Jimaní for a few more days until his stitches could be removed. He had his stitches out on Monday December 19th, and he and his mom were able to return home Tuesday afternoon. It was a nice moment one afternoon when his Dad was able to come visit here on the Jimaní campus,while his Dad was holding him, Jak Jak reached up to touch his face. Jak Jak’sinteractions with people and objects has increased tremendously just in the few days since his surgery. We had a medical mission team come from Lincoln Memorial DeBusk College of Osteopathic Medicine. LMU-DCOM has been partnering with us here in Jimaní for several years, and typically come during Spring Break week. This year they were able to bring an additional group of students over their Winter Break. We had a group of 24 which included both physicians, students, and family members. We help several mobile medical outreaches both in Haiti and the Dominican Republic. We went to Batey 41 where Chadasha has our school and church ministry. We also partnered with a church in Fonds Parisean, Haiti for a medical clinic, and we went to El Mantial and Los Guineos, two rural communities in the mountains surrounding Jimaní. A few highlights for me were Dr. Williamson telling a lady in Batey 41 she was having twins, and having this information will help Dr. Yirdana as she continues to provide prenatal care. Dr. Ranz and Anastasia removed a particle from an elderly lady’s eye that was causing her pain, you should have seen her smile when it was removed. A pastor receiving a pair of reading glasses, and sharing how much it would help him in his ministry. Can’t wait to be a part of that. I just get tears in my eyes every time I read your updates. God bless you. You guys are doing it: You are doing what God put us here to do. It’s awesome.